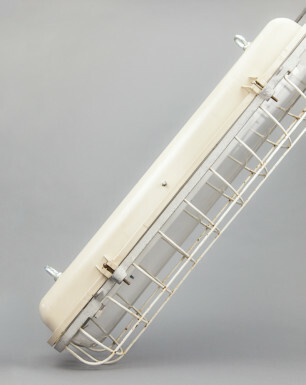 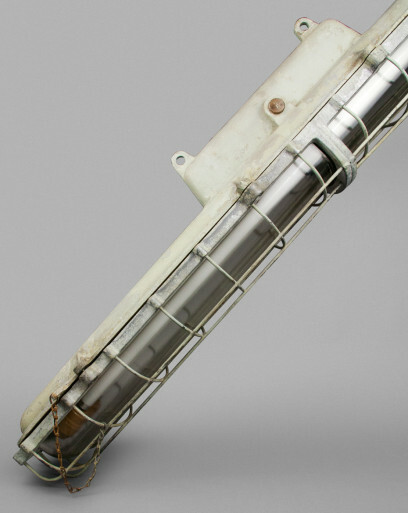 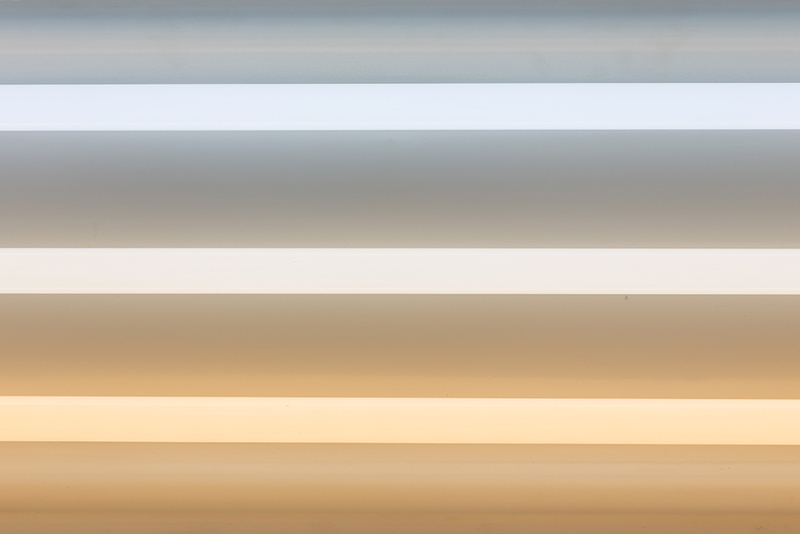 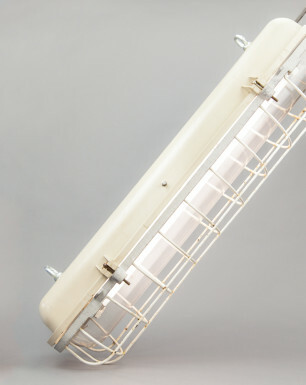 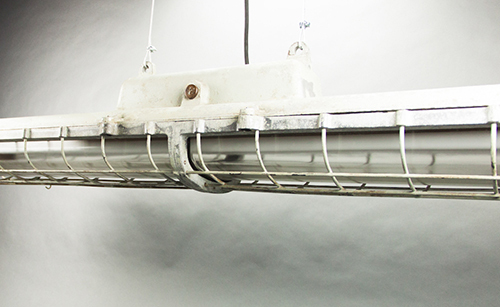 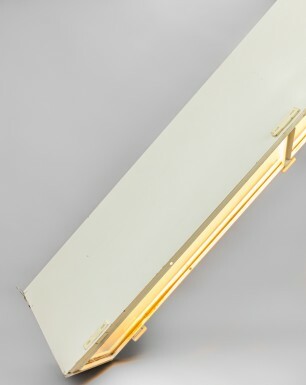 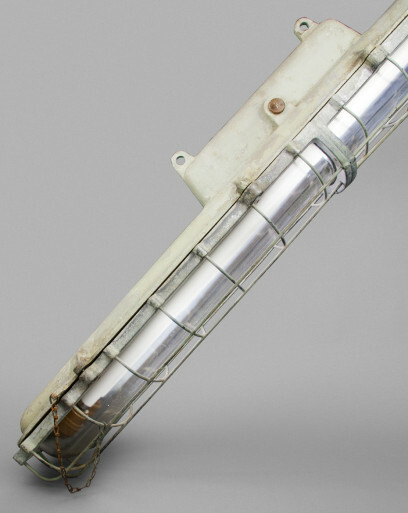 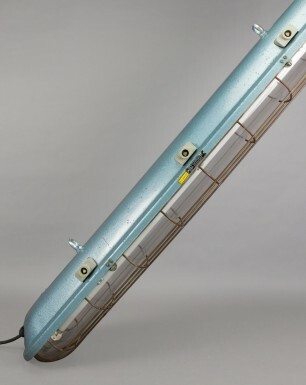 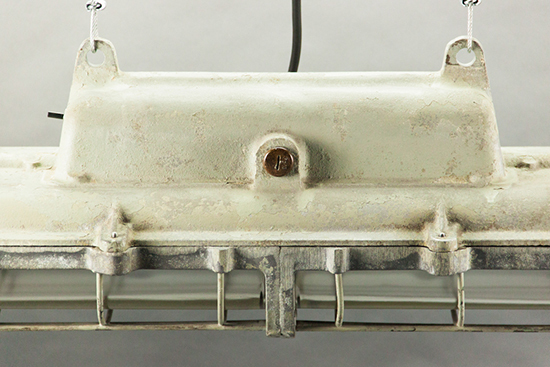 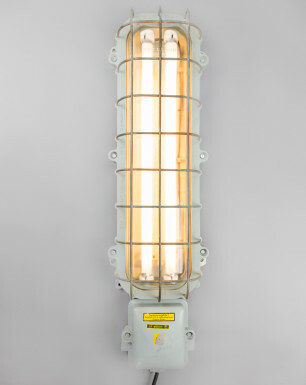 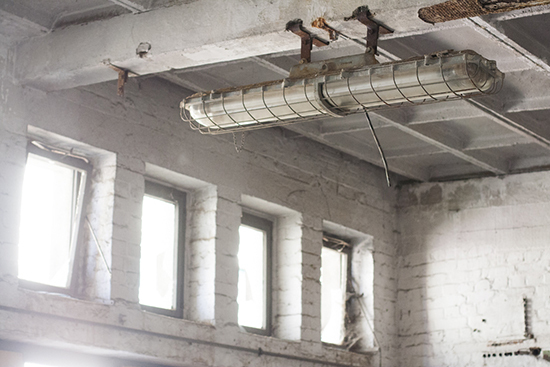 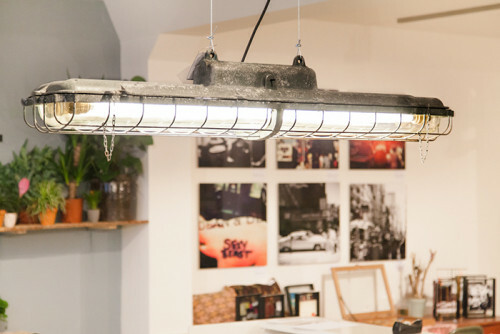 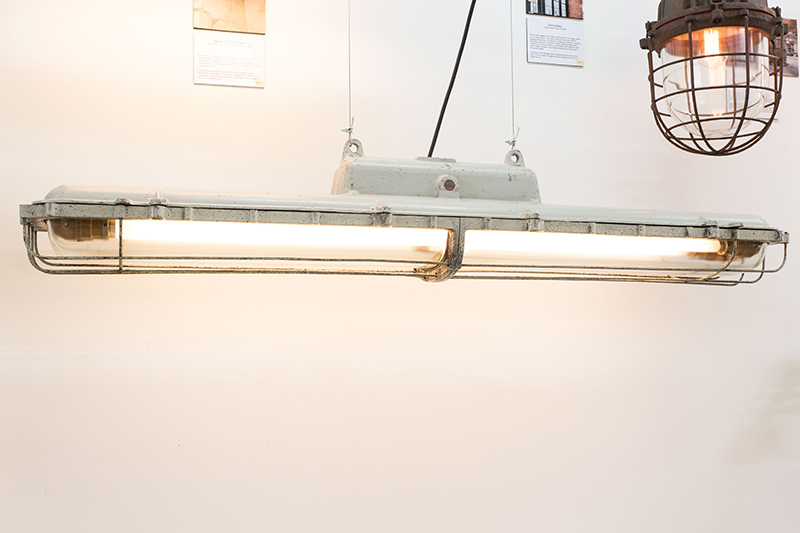 This fluorescent light can be considered the most massive lamp within our collection. 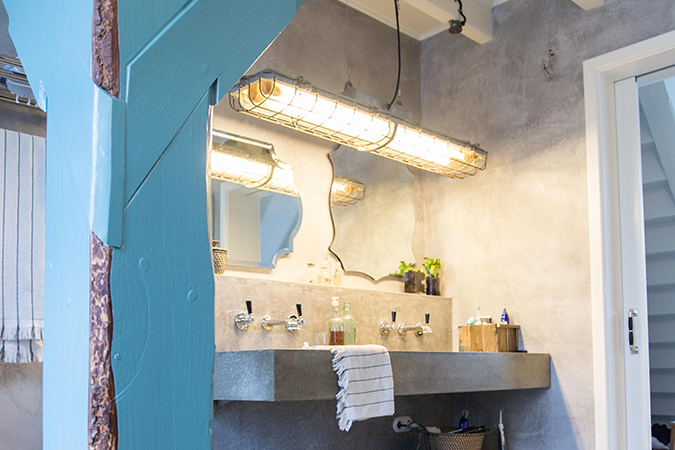 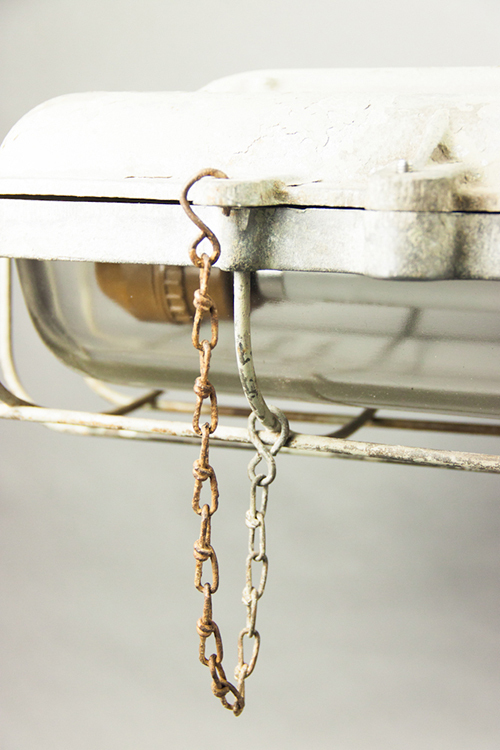 Its cast-iron casket combined with a caged centimeter-thick glass hood, gives it an extremely industrial look. 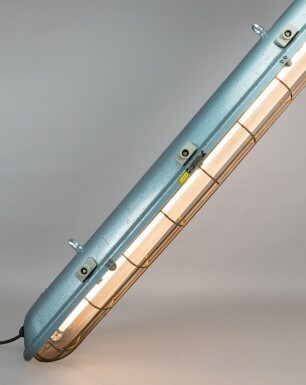 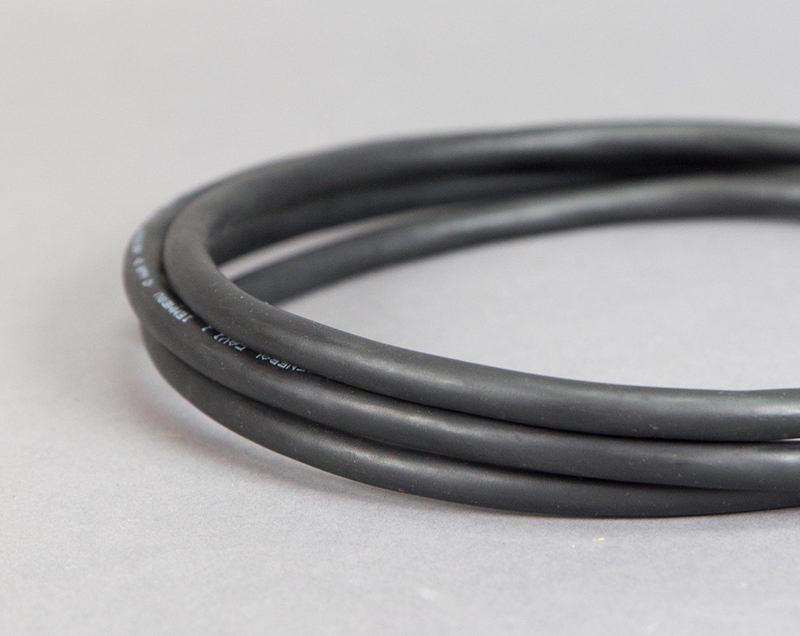 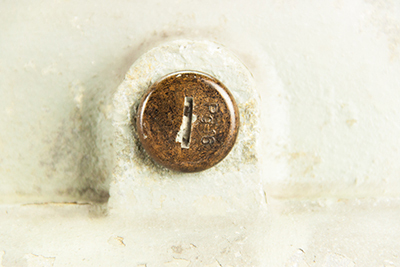 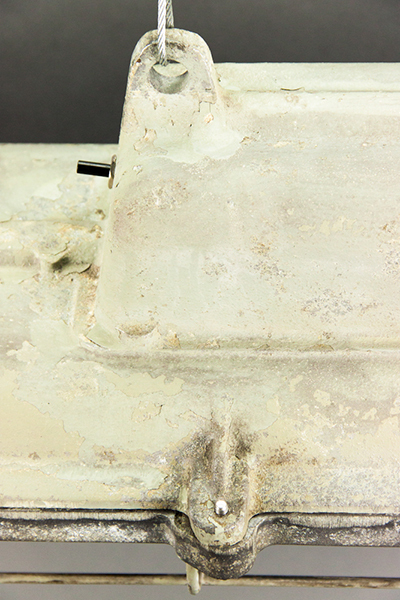 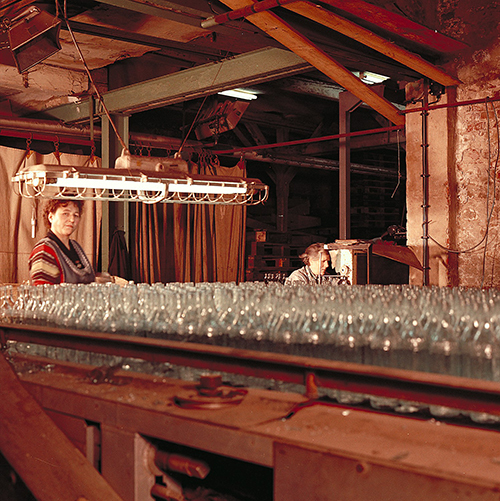 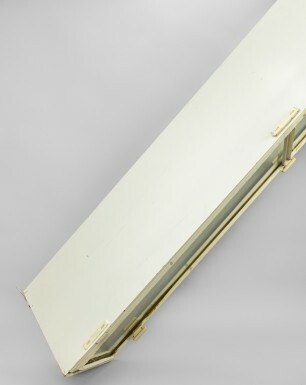 The fluorescent fixture was mainly used in areas occupying heavy machinery. 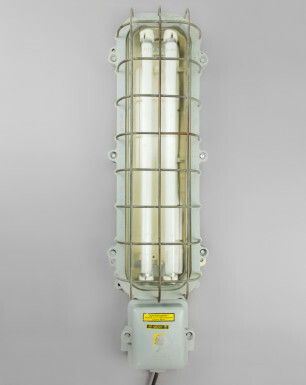 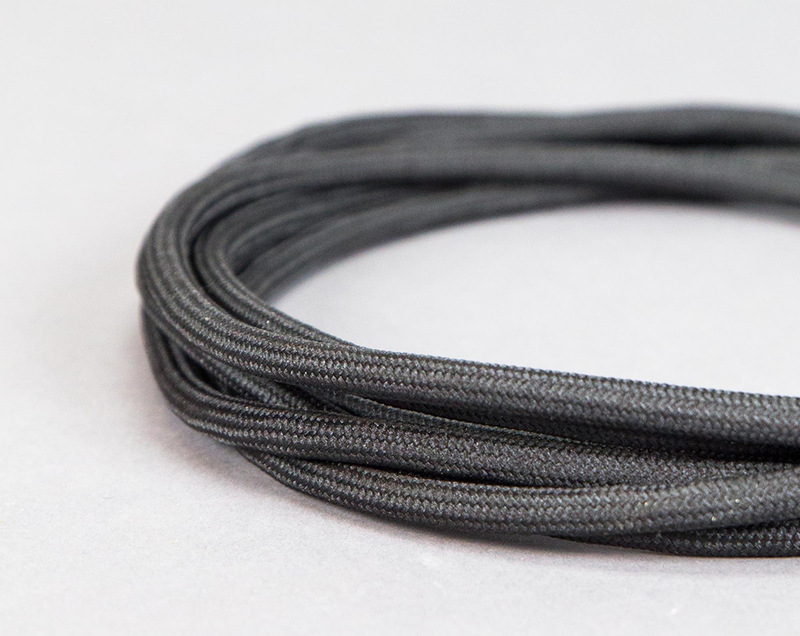 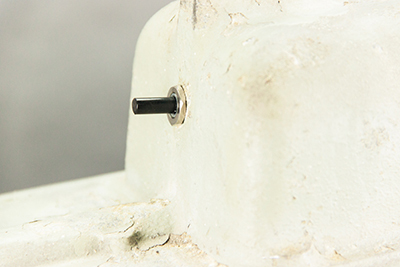 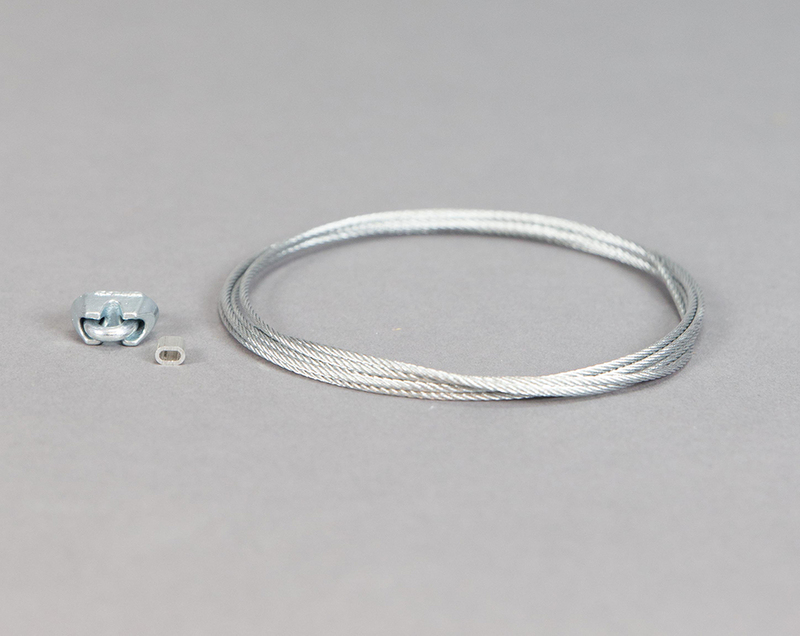 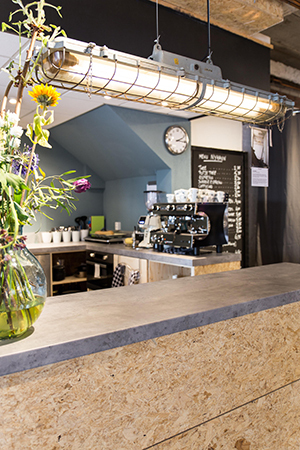 The lamp is manufactured by Electrotechnik Oberweimar (EOW), a state-owned company specialized in explosion-proof lighting.